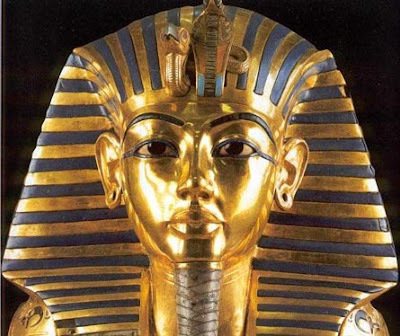 Egyptologist always theorized whether the Pharaoh Tutankhamen died of illness or was murdered, so far they have not yet solved the mystery of his death. This enigma was quite intriguing up until now. Interlocutor: Here I have a mail of a person who asked me about Tutankhamen, especially if his death was a murder. He also asked me about the famous curses obviously. Interlocutor: It was one of the hypotheses that Egyptologists were studying. How old was he when he died? I ask it because there is no agreement on this. Ruanel: He was 19 years old. Interlocutor: Concretely, who poisoned him? Ruanel: Advisors he had at the council poisoned him. Interlocutor: So it was a conspiracy of his own entourage, the same like the bishops that conspired to murder Pope John Paul I did? Interlocutor: Concretely Was one of them the Vizier Ay? Interlocutor: Was Ay who gave him the poison? Ruanel: Not directly, but rather he commissioned the task to a maid called Oda. Interlocutor: Did the wife of Tutankhamen have something to do? I mean if she was part of that conspiracy. Ruanel: No, she didn't plot, but she didn’t feel very unfortunate after his death either. In fact she was alleviated of the pressure that her husband exercised on her. Besides, she was pleased with the Vizier Ay. She idealized him, so when she found out everything, she didn't object it. Besides, Ay had her dominated psychologically and she did whatever he wanted. Interlocutor: Definitely, the marriage didn’t work? Ruanel: No, it didn't work. Interlocutor: But, Did Tutankhamen have sexual relationships with his wife? Ruanel: Yes, but they were very selfish relationships, where he was the only one satisfied. Interlocutor: Was the wife of Tutankhamen (Ankhesenamun) in love with the Vizier Ay? I asked it because later on she married to him. Ruanel: No, she was not in love, but she idealized him, she had a tremendous respect for him, and she even thought that Ay should be the one who should occupy the position of Tutankhamen and the one who should take all the decisions and not Tutankhamen. Interlocutor: To remove any doubt, I want to repeat the question: Did Ankhesanamun (the wife of Tutankhamen) conspire against him? Ruanel: No, in fact not, but later on she found out everything and “she turned a blind eye” as you say, and she adapted quickly to the new situation. Interlocutor: And she even breathed alleviated? Interlocutor: I will mention some names to know if they were the plotters: The Vizier Ay main advisor of the Pharaoh, Horemheb Commander in chief of the Army and Maya the Overseer of the Treasury. Ruanel: The plotters were five and you have named three of them. Ruanel: Correct, because the maid Oda was only an instrument. Interlocutor: What happened to Oda? Ruanel: They promised her many things, even to make her a dancer, but one night she died tragically. Interlocutor: Did they murder her? Interlocutor: Which was the main reason they murdered Tutankhamen? Ruanel: The Pharaoh was blocking their purposes. The plotters had a tremendous lust for power and Tutankhamen was very slow in making decisions and his delays had already bothered them. Every time that the Vizier Ay proposed something to him, he responded: “Well, I will think about it” and the time passed and passed and he never made a decision. Interlocutor: Then the main reason was that the Pharaoh was blocking their limitless lust for power? Interlocutor: The Vizier Ay married to the wife of Tutankhamen, did he love her? I ask it to see if there was also some emotional reason in the murder. Ruanel: No, he didn't love her, he was only attracted to her youth, since he was an old man because he was about 50 years old. Interlocutor: I believe that the topic of the murder is totally clarified. I want to move on now to the topic of the curses, although we know that they don't exist. Ruanel: Of course, Curses don’t exist! Interlocutor: But maybe the mummy of Tutankhamen had some virus? Ruanel: No, not virus, but there were many hidden traps to protect his tomb. Interlocutor: And did many die with them? Ruanel: Yes, of course. There were many Deaths outside of the tomb, but all of natural causes. In the spiritual world the curses don't exist. One can absorb negative vibrations that cut paths, but nothing else. Interlocutor: It is clear. And Did the spirits of error intervene? Ruanel: Not at that level. But if a person is stand near a cliff they don't hesitate in giving him a push. Interlocutor: But concretely Have they been involved on this whole matter of Tutankhamen? Ruanel: The spirits of error are always when they have a chance to do something negative. Interlocutor: Can you perceive some case where the spirits of error saw somebody close to a balcony, for example, and they pushed him? Interlocutor: Well, I believe that everything is clear enough. By the way, in which plane is at the moment the spirit that animated Tutankhamun? Ruanel: In the plane 3. He had ascended to the plane 4 but he lowered. Interlocutor: Did he embody again? Interlocutor: Did the Vizier lower of plane when he disembodied? Ruanel: Yes, He went to the plane 2. Interlocutor: In which plane was he? Ruanel: In the plane 4. Interlocutor: What about the wife of Tutankhamen? Did she lower too? Ruanel: Yes, she was in the plane 4 and she lowered to the plane 2. Interlocutor: How many times did they embody? Ruanel: Each one of them embody four times., ascending and lowering of plane. Interlocutor: But at the moment in which plane are they? Ruanel: In the plane 2. Interlocutor: A last question. Were the Pharaohs buried with some ship? Ruanel: Yes, because it was part of the mythology of the Egyptians. Interlocutor: Did they put a ship in the Tomb of Tutankhamen? Ruanel: Yes, but not inside the sarcophagus. Interlocutor: Inside of the tomb where the sarcophagus was? Ruanel: Yes, inside the tomb. Interlocutor: Well, If you agree we’ll finish the session here. This entry was posted at Friday, October 16, 2009 and is filed under History . You can follow any responses to this entry through the .